It’s Thanksgiving in New York! You know what that means… Feasts! Parades! And… BAD GUYS?! 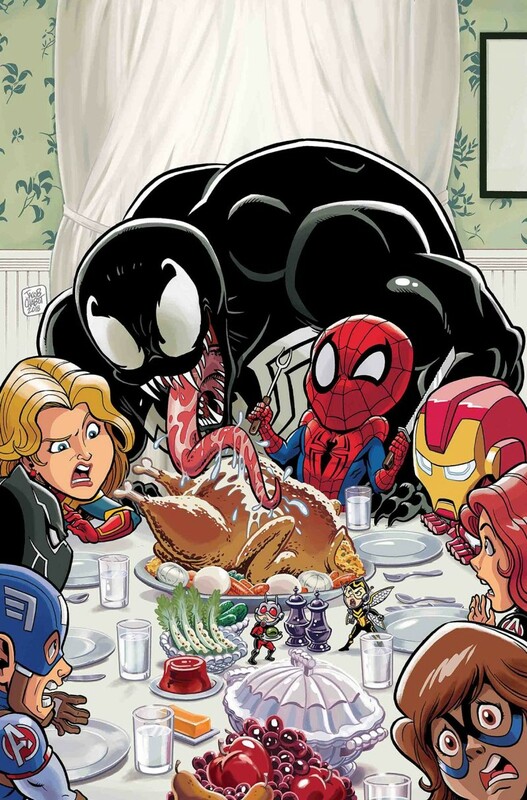 When the villainous VENOM threatens to spoil the city’s fun on Thanksgiving Day, it’s up to Spider-Man and Captain Marvel to set him straight and save the celebration! PLUS! A story from SEANAN MCGUIRE, writer of the all-new Gwen Stacy series SPIDER-GWEN: GHOST-SPIDER, starring a certain hoodie-wearing hero!